I recently read Letters to Milena. Franz Kafka goes deeply personal in his letters to his beloved translator from the Czech Republic -who lived in Vienna at that time. This is no narration of stories, this is his love (heartbroken) story and most inner thoughts. The letters begin as a formal correspondence which is all about "business", translation of the author's work. 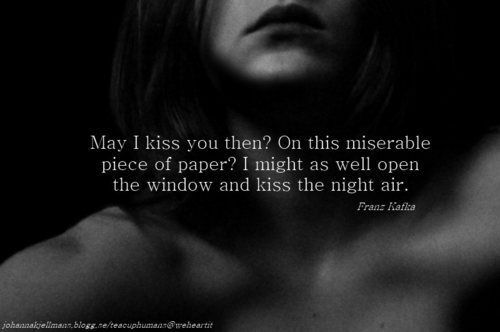 We cannot read what Milena writes to Kafka but we get a lot of it by what Franz says. 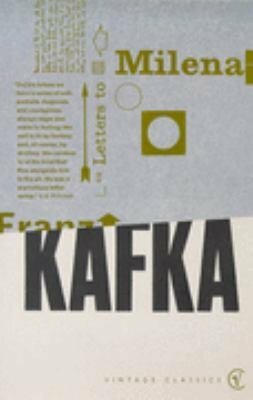 The letters develop into love and passion and willingness to meet, but it all eventually fades, leaving Franz Kafka desolate and broken. I did select a lot of things I liked, I gotta say I like Kafka's works and was deeply interested in his inner thoughts whenever he was not writing stories. Dare say he is a true "feeler" though there were times I saw him go too overdramatic (but I'm cold as ice when it comes to lovey dovey stuff). Have you ever read letters by a great artist?